Happy Monday!! It's the second week of me doing "Main Dish Monday" and I must say I'm kind of enjoying finding recipes to cook. Now since I'm trying to get back into the swing of cooking I still need to go simple. 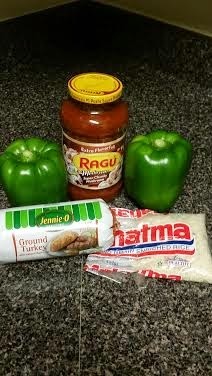 I'm not ready for those meals that calls for 10 ingredients right now, lol. 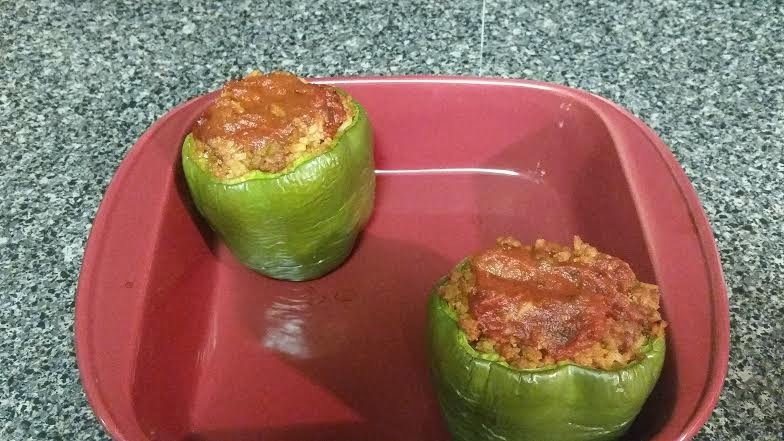 This week I am cooking one of my favorite meals that I hadn't made in quite a while...Stuffed Peppers. 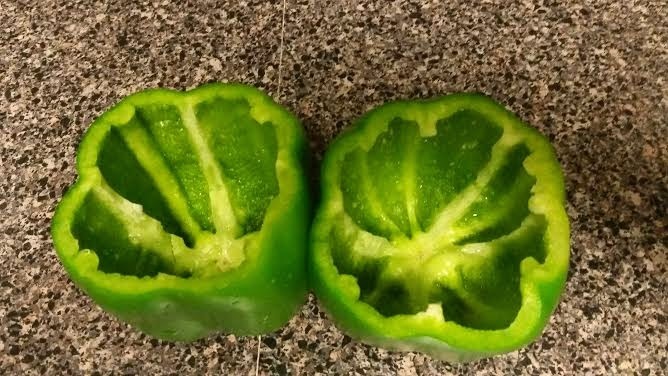 The first thing I did was cut off the top of the bell peppers and took out the membrane; then I boiled the peppers for 10 minutes on high. 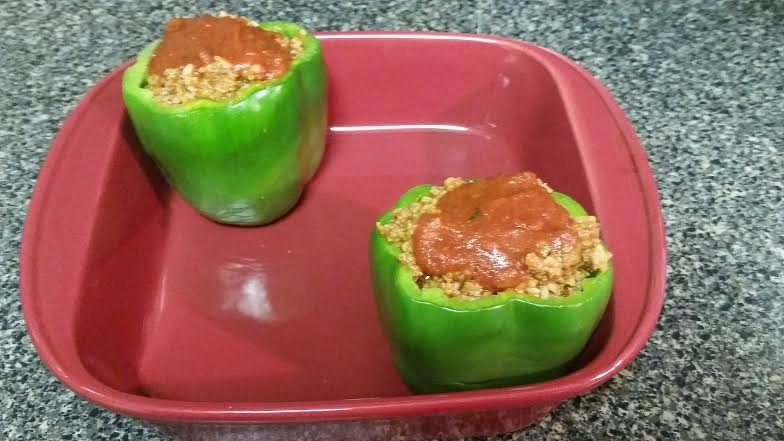 While the peppers was cooking I cooked the rice for 20 minutes and the ground turkey for 10 minutes, after this was all done I prepared the filling for the peppers. 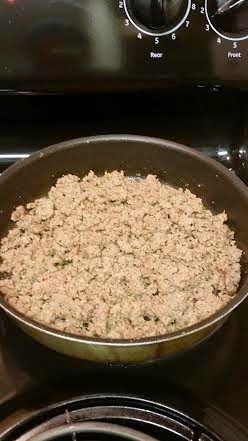 I mixed the rice, ground turkey and the tomato sauce together and placed in the oven for 35 minutes on 350 degrees. The total prep and cook time was 1 hour 15 minutes. This meal was delish and had my place smelling good. 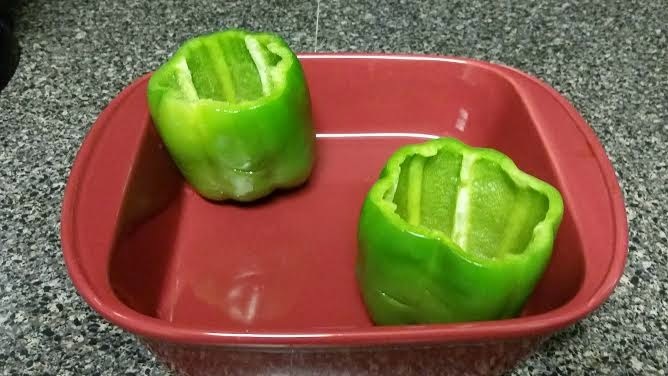 You can add a small salad in addition if you like. 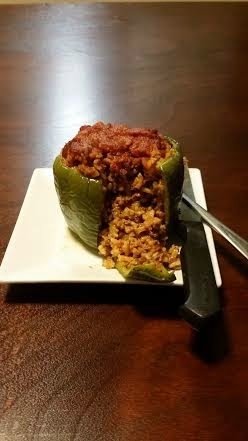 As for me, I like to eat my stuffed pepper by itself. What's are you having for dinner today? For Monday's dinner (since I'm writing this comment on a Wednesday), I had spaghetti and meatballs. So good. Of course my mom cooked it. This seems easy enough for even someone like me to make. Well, everything except the rice. 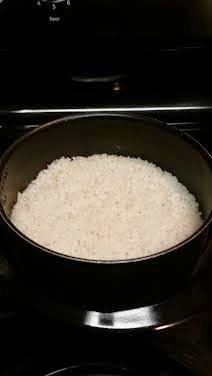 I find that my rice always overcooks and gets too mushy. I'll be suggesting this to my mom and see if she wants to cook it. I'm liking these "Main Dish Monday" meals, Bobbie - keep 'em coming! Heyyyy Drea! Aww....thank you! I love spaghetti....love it! Girl, It's too much water if the rice is mushy. Oh if your mom do this recipe..please post it! Thanks again!